What a crazy amazing unplugged week I've had. My hubby and I took eight days off and it was invigorating. This was my longest vacation since I started Runway four years ago. We went on a cruise to Key West and Cuba and then spent the rest of the day catching up on life stuff. I didn't purchase internet on my phone and was totally phone free most of the trip (other than to take a few photos)! Anyway, I wanted to share my experiences in Havana, Cuba. 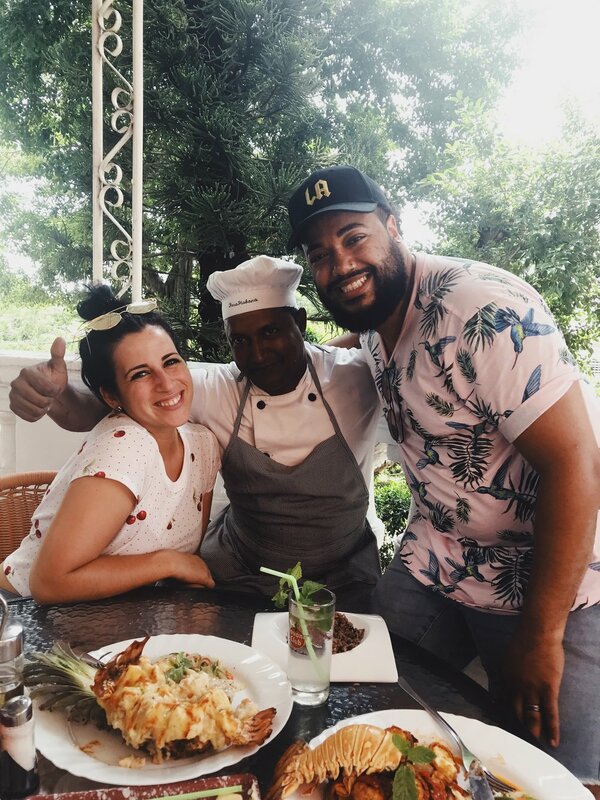 What to know before you travel to Cuba and some locations we visited that I would totally recommend. As always, this is going to be real, real. Ready? Here we go! BRING YOUR OWN TOILET PAPER AND HAND SANITIZER. No lie, the bathrooms are few and far between. When you do find one, they usually do not have toilet paper or even a toilet seat. Also, you always have to tip to go to the restroom. Most of the restrooms do not have traditional soap - so I would highly recommend bringing hand sanitizer. I used that baby 24/7! BRING CASH AND MAKE SMALL CHANGE. There are no working ATM's and you cannot use credit cards in Cuba. Please note to ONLY exchange from the airport, cruise port or hotels like Hotel Nacional de Cuba. There are two types of currencies in Cuba. One is CUC (pronounced coo-k) or CUP (pesos). The CUC has a monument on the front and the CUP has a face. DO NOT allow anyone to give you change in CUP's for CUC's. The CUC is closer to the American dollar and worth 25 times as much as the CUC. $100 American dollars equal to $87 in CUC's. Most Cuban businesses don't have change or they try and give you change with CUP's. I would recommend making sure you ask your teller for some smaller bills. That was a mistake Frankie and I made and we ended up overpaying for tips and souvenirs. Plus about $150 to cover our travel around Cuba. We ended up having to exchange a little more after we got off the cruise at the hotel because we spent a little more on food and drinks than we expected. We were so upset when Royal Caribbean told us we had to do an excursion with them. Let's be real, I honestly didn't want to pay $250 per person or spend 9 hours on a bus with a bunch of strangers. After doing more research and being referred by a friend to a third party, we found out that this is a common misconception. When you get on a cruise or airline, you will have to sign a document that asks why you are going to Cuba. You do not have to have an excursion in place but you do have to have a reason why you are there and something to prove it just in case. We had a receipt for what we paid our driver. There are pros and cons to doing an excursion and going out on your own. To be real with you, either way, it is NOT cheap. Between food, drinks, paying our driver, rum, cigars and the visas, we spent over $500 in one day. I didn't think we would even get close to that! CUBAN VISAS COST $75 PER PERSON. Add this to your budget - we didn't know this until we started doing research and that's almost $200 we didn't budget for. You can get your visa from your cruise line or your airline. Please note that the Cuban visa has two areas to fill out. It's important that you fill them out exactly or they charge you $75 again if you mess up. Mirror the same information on the other side of the visa. Bring bottled water, sunscreen, snacks, wipes, wear a hat - whatever you need to do to take care of yourself. It is beyond warm there and there are no convenience stores to easily grab a water or a snack. Be careful what you eat as well. Not all the restaurants are ready or have the food for tourists. 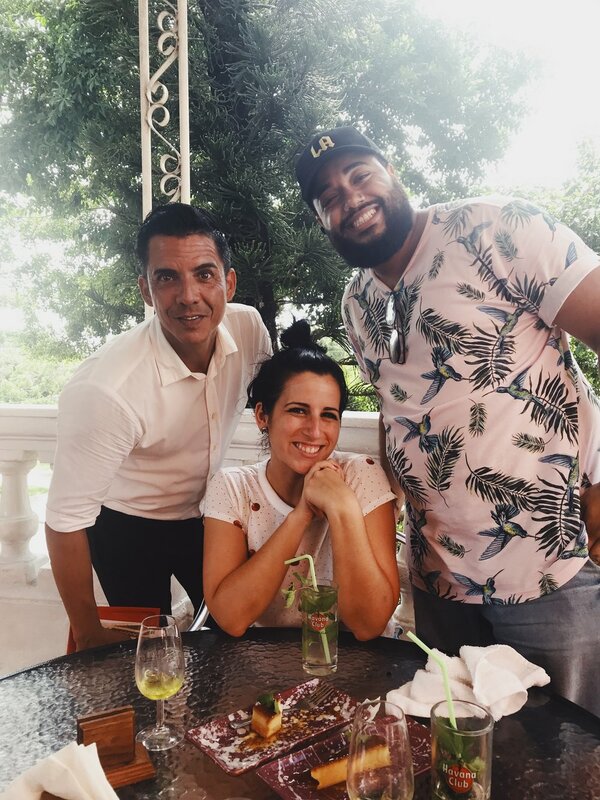 Overall, we had an amazing time and it is SO beautiful in Cuba. The people were so nice and kind but being there made me realize how blessed we really are and what we truly take advantage of here in America. Fresh water, the ability to hustle and keep your profit, toilets with seats....people, we are freaking BLESSED. We didn't get to visit as many places as I would have hoped but the places we did get to go were amazing! Here are a few places that I would highly recommend you visit! 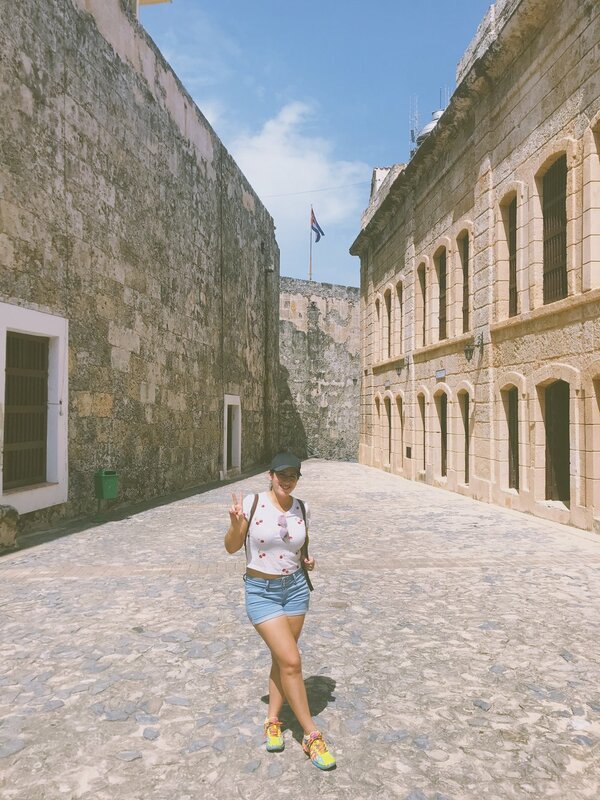 Morro Castle - it is a fortress guarding the entrance to Havana bay! Fusterlandia - Creative buildings with marble tile art! 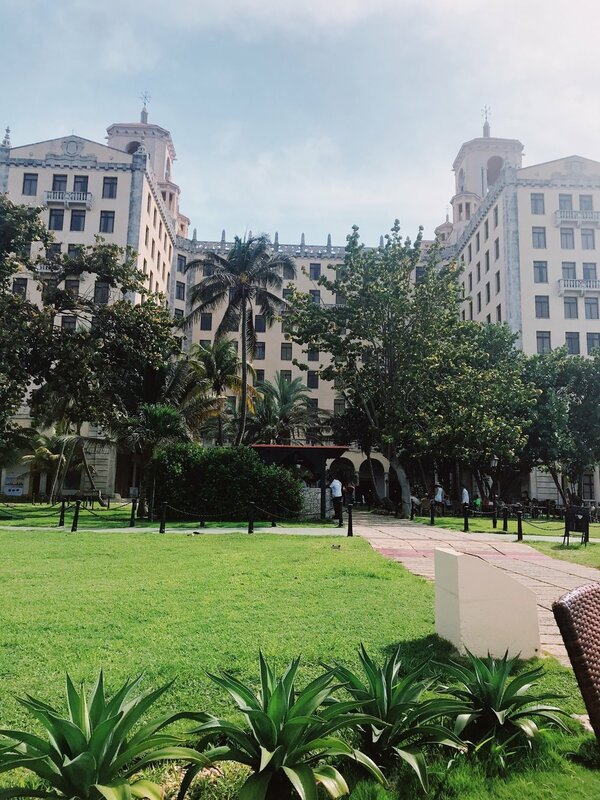 Hotel Nacional de Cuba - They have mojitos, currency exchange, and peacocks! Union Francesca de Cuba - Amazing service, live music, and delicious food! The chef wanted to come out and take a photo with us! I would highly recommend planning out the locations you are planning to visit and check the distance from the other. We went to the beach and I personally would not go back. It was nice but it was about a 45-minute drive from the drop off at Havana and it took a big chunk out of our day. If I could do it again - I would go to the locations mentioned above and hang out in Old Havana!